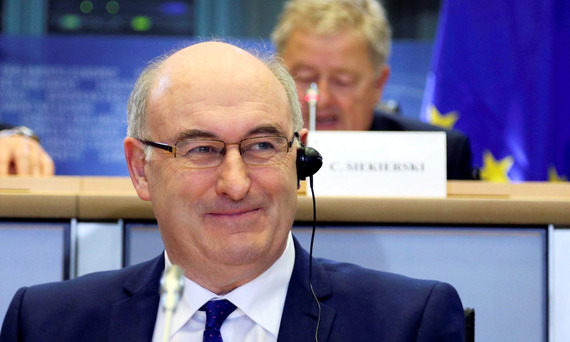 Senior officials from the Department of Agriculture were in Brussels yesterday meeting EU Commission representatives about potential bailouts for the sector in a worst-case scenario. Making the case for supporting measures at EU level that recognise Brexit represents a serious disturbance to the Irish economy is a key pillar of the Irish Government’s response to Brexit. There is a firm understanding at EU level of the unique and disproportionate impact that Brexit will have on Ireland and Ireland is expected to petition for cash injections and a loosening of strict EU rules on aid in order to combat the fallout from a chaotic Brexit. The EU can drum up emergency aid, as it did following the Russian embargo on EU fruit and vegetables in 2014 – when €1.7bn was found from outside the agriculture budget to support (mainly continental European) growers. A €2.8bn agricultural crisis reserve fund was set up under the 2014-2020 budget to deal with emergencies like the Russian embargo. And EU rules on “common market organisation” (CMO) provide for intervention in specific markets during a crisis, as the Commission did for skimmed milk powder in 2016 (although there is no advance funding set aside for this in the EU budget). Another option open to the EU – and widely used during the banking crisis – is a suspension of competition rules, which dairy producers and cooperatives availed of during the milk price crash, when they were allowed to band together to limit production. Agriculture Commissioner Hogan reiterated the EU’s readiness to respond and support Ireland, and we will remain in contact on these issues as the situation evolves.